Set your goals. Then crush them. Our mission at The Zoo Health Club is to provide the means, expertise, motivation, and atmosphere that will enable people of all fitness levels the ability to achieve their individual fitness goals and promote a healthier way of living through an inviting environment. The staff at The Zoo Health Club are committed to the highest level of professionalism and customer service. Check here often for our current promotions. Are you considering membership at The Zoo Health Club? Today is a great day to join. We are pleased to announce that we have partnered with Silver Sneakers®, Prime®, Silver&Fit®, and AARP® to help make getting and staying healthy even easier. Talk to a Zoo staff member to find out more. The Zoo Health Clubs of Manchester and Derry are loaded with all the amenities and perks you need to feel like a better and more fit you. If group fitness classes are your thing then you will love our big classrooms and passionate instructors. View the class schedules for Manchester and Derry and find the classes just right for you. Our cardio machines are equipped with touch screen monitors with wifi access and the Preva fitness tracking system. Our weight rooms are fully loaded and have everything you need to train hard and train right. Dumbbells go up to 150lbs. Our Kids Place offers a safe and fun place for your kids to play while you work out. Babysitting hours match up with morning and evening group fitness classes. View the babysitting hours for Manchester and Derry. The Smoothie Bar offers great tasting low sugar protein shakes and assorted smoothies from DrinkFit. With a wide variety of drinks to support your fitness needs, you will surely find a favorite. 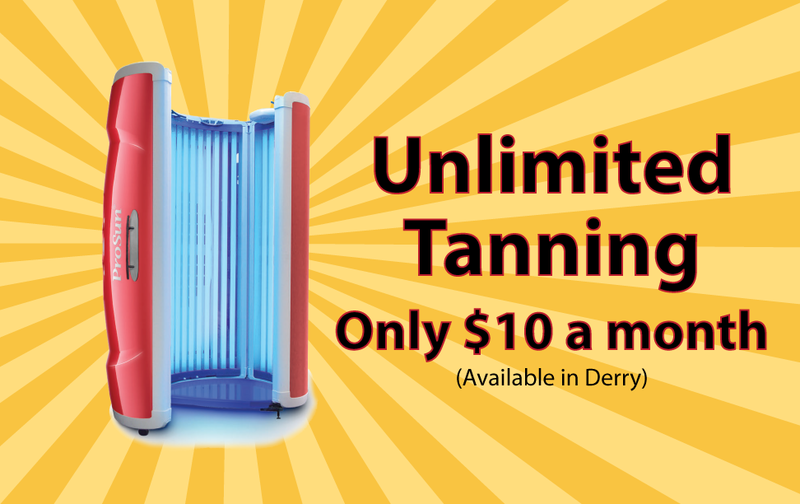 Show off your physique with a little bit of color using our tanning machines at our Derry location. 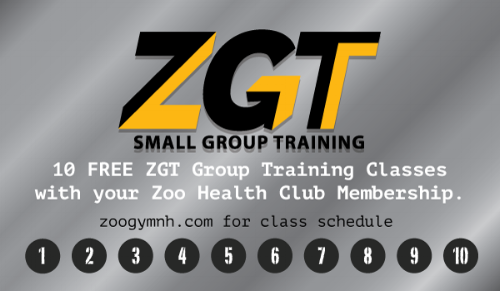 Join the ZGT Group Training and feel the intensity of working out with others who are as committed as you are. Find out more and view Manchester ZGT or Derry ZGT for schedules. When you train with the Pure Core team you sign up to work hard and see serious results. Sign up for individual sessions for one-on-one attention. Three locations to help you reach your fitness goals. With locations in both Manchester and Derry, New Hampshire you will never be far from a healthier you. Click on each location to find out more about the gym's amenities and class schedule.